Well, do you have all your circles appliqued on? That was probably the most time-consuming row we’ll have in this quilt. That’s why I wanted to get it out of the way first. This week’s row is a lot simpler. 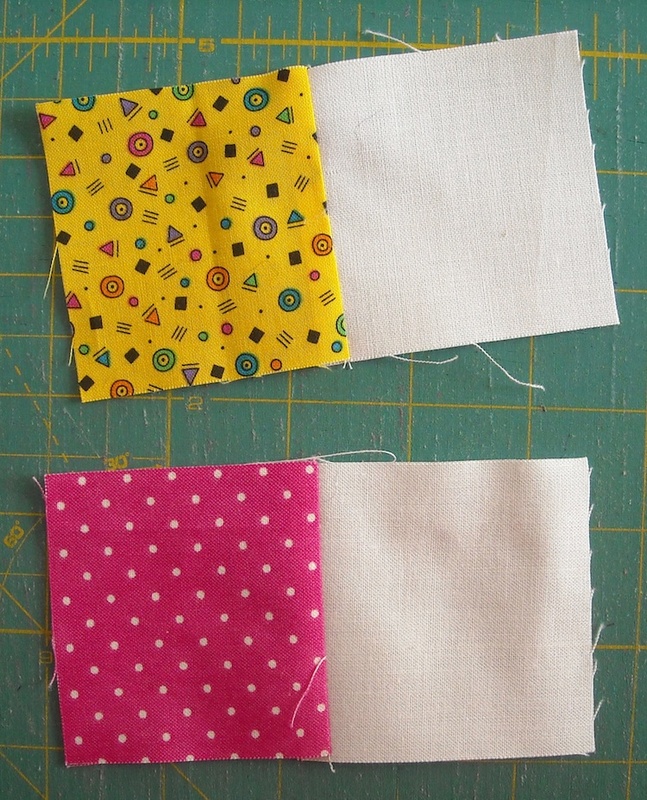 For this row, you’ll need some of your background (mine is white), and some bright scraps. Cut yourself some 2 1/2″ squares! You’ll need 30 from white, and 30 from the bright scraps. Sew them together in pairs, a bright with a white. Press seams toward the print fabrics. Make 30 pairs. 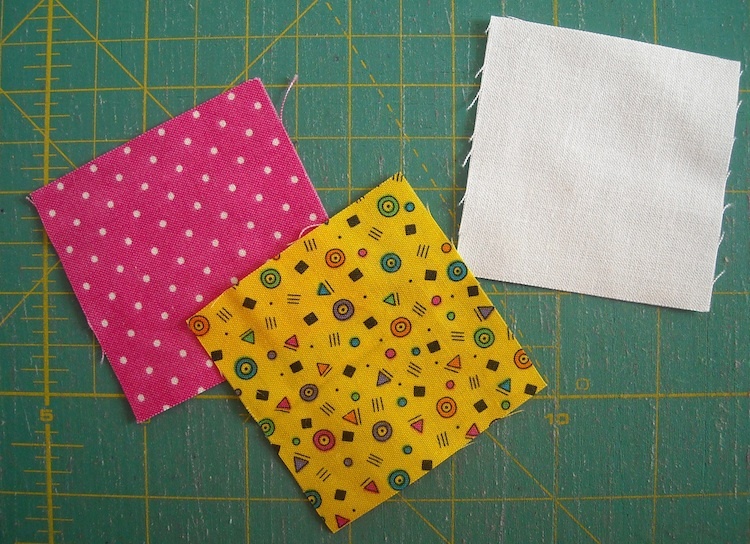 Sew the pairs together into 4-patches. Press seams to one side, or open, if you prefer. Make 15 4-patches. 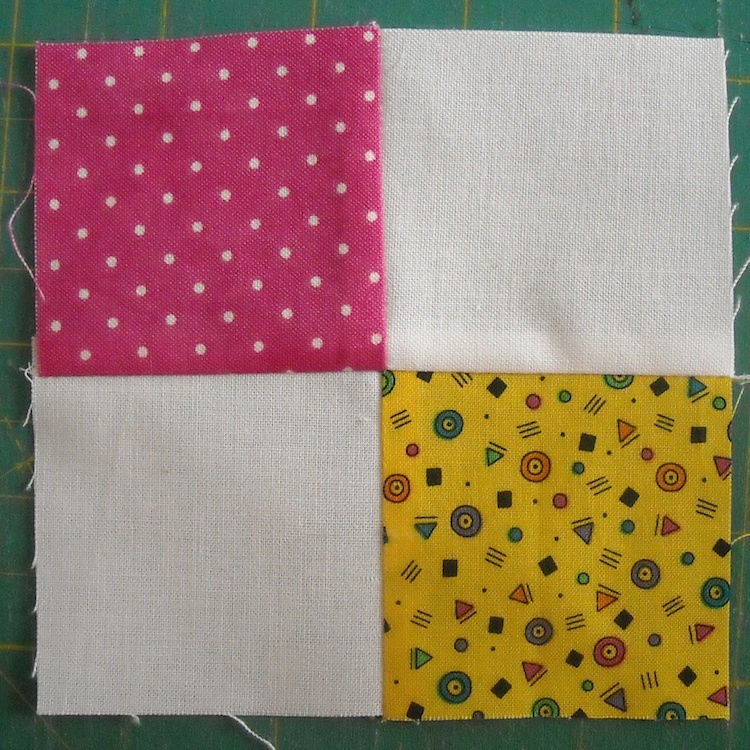 Each 4-patch should measure 4 1/2″ square (unfinished). Sew the 4-patches into one long row, again pressing seams to one side, or open, if you prefer. The row should measure 60 1/2″ long. And you only need to make one of these rows. This way, if you’re not quite done with your circles, you’ll have a little time to catch up! And as you can tell by the picture of the quilt HERE, this row of 4-patches gets sewn to the bottom of one of your strips of circles, so if you’re feeling ambitious, you can go ahead and do that if you want to. I waited until the end, so I could make sure which circle strip I wanted to sew it to, based on color distribution in my quilt, so if you prefer to wait, that’s fine, too. I’ll be back next Monday with Step 3. Happy stitching!